Apart from its action as transcriptional factor, the AR has a function that does not require transport of the receptor into the nucleus. This process is manifested within seconds to a few minutes, in contrast to the other genomic activity of the receptor that takes 30-60 min. Thus these effects are too rapid to be due to changes at the genomic level and are therefore termed non-genomic or rapid nontranscriptional action of androgens (Cato and Peterziel 1998; Cato etal. 2002). These effects range from activation of mitogen-activated protein kinases (MAPKs), adenylyl cyclase, protein kinase C, to activation of heterotrimeric guano-sine triphosphate-bindingproteins. The effects are diverse and are sometimes inhibited by classical androgen antagonists but are sometimes resistant to these ligands. The effects can also be mediated by androgens linked to large protein moieties making them unable to traverse the plasma membrane. This has therefore led to the idea that these rapid actions of androgens may be mediated by a novel type of membrane-bound androgen receptors. The identity of these molecules remains elusive. The rapid action of androgens can be classified into two groups: rapid effects of androgens in receptor-negative cells and rapid effects in cells that contain the classical AR. 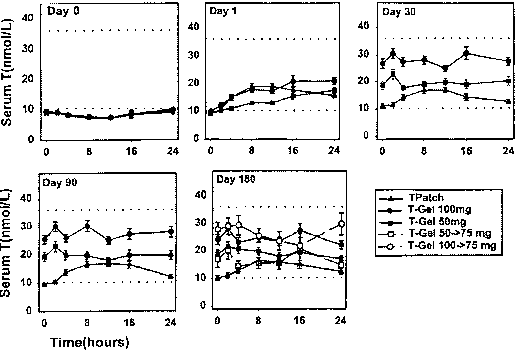 In the first class of response, androgens are reported to increase intracellular levels of calcium in cells that lack intracellular AR such as mouse macrophages and splenic T cells (Benten etal. 1997; 1999). This response is thought to be mediated by a novel type of membrane-bound AR. However, recent studies show that cells thought to lack AR such as NIH 3T3 because they do not show transactivaton function in response to androgens, nevertheless possess low levels of classical AR (identified by PCR), enough to mediate rapid action of androgens (Castoria et al. 2003). Cells that contain classical AR such as LNCaP or osteoblasts (Lieberherr and Grosse 1994; Peterziel et al. 1999) mediate rapid action of androgens. This was demonstrated in experiments in which ERK-1 and ERK-2 were shown to be activated in receptor negative PC3 or COS-7 following transfection of the AR and androgen treatment (Peterziel etal. 1999; Migliaccio etal. 2000). The most extensively analysed mechanism of the rapid action mediated by the AR occurs through the activation of c-Src. Rapid activation of ERK-1 and ERK-2 by the androgen dihydrotestosterone was blocked by the Src family tyrosine kinase inhibitor PP1 (Migliaccio etal. 2000). Furthermore embryonic fibroblasts derived from Src-/- mice when transfected with the AR failed to show a rapid activation of ERK-1 and ERK-2 in response to androgen, confirming the role of Src in the AR. At the mechanistic level, the AR is thought to activate Src by binding to the SH3 domain of this protein. This activation process is also aided by the a or ß-isoforms of the estrogen receptor (ERa of ERß). These receptors are thought to bind to the SH2 domain of c-Src to activate this kinase together with the AR. In cells expressing both the AR and ER, activation of ERK-1 and ERK-2 by DHT can be inhibited by antiestrogen and the rapid effect of estrogen can be inhibited by antiandrogen (Migliaccio etal. 2000). This effect of ER and AR can explain recent reports of cross talk between estrogen and androgen in rapid action of the AR and ER (Kousteni etal. 2001). The interaction of AR with the SH3 domain of c-Src to activate ERK-1 and ERK-2 was however not observed when both proteins were extensively purified (Boonyaratanakornkit et al. 2001). This argues in favour of a bridging protein(s) playing a role in this interaction. The AR is also shown to rapidly activate PI3-kinase (Peterziel etal. 1999). This effect is most probably brought about by the interaction of the AR with the p85 subunit of PI3-kinase (Simoncini etal. 2000; Castoria etal. 2003). The major question asked in the rapid action of androgens is the physiological meaning of this function of the AR. Prostate cell growth and S-phase entry in the cell cycle are consequences of some of the rapid action of the AE as they are inhibited by the MEK-1 inhibitor PD98059 orthe Src inhibitor PP1 (Migliaccio etal. 2000). Furthermore microinjection of dominant negative Src or MEK-1 constructs into prostate cancer LNCaP cells inhibited androgen-stimulated BrdU incorporation into DNA (Migliaccio etal. 2000). One of the classical examples of a physiological function of the rapid action of steroids is the steroid-induced maturation of Xenopus oocytes. Progesterone has been considered the relevant steroid controlling maturation through a non-transcriptional action. However, it has recently been shown that androgens are equally potent activators of maturation relative to progesterone and that they are more abundant in serum and ovaries of chorionic growth hormone-stimulated frogs (Lutz etal. 2001). Progesterone is rapidly converted to the androgen androstenedione in isolated oocytes by the enzyme CYP17. RNA interference and oocyte maturation studies indicated that the androgen-induced maturation was mediated by the Xenopus AR in a transcription-independent fashion, perhaps by altering G protein-mediated signaling (Lutz etal. 2003). Interestingly, only testosterone and androstenedione were potent inducers of oocyte maturation and not dihydrotestosterone or the synthetic androgen R1881, indicating that the type of ligand could have an important effect in mediating the rapid action of androgen.